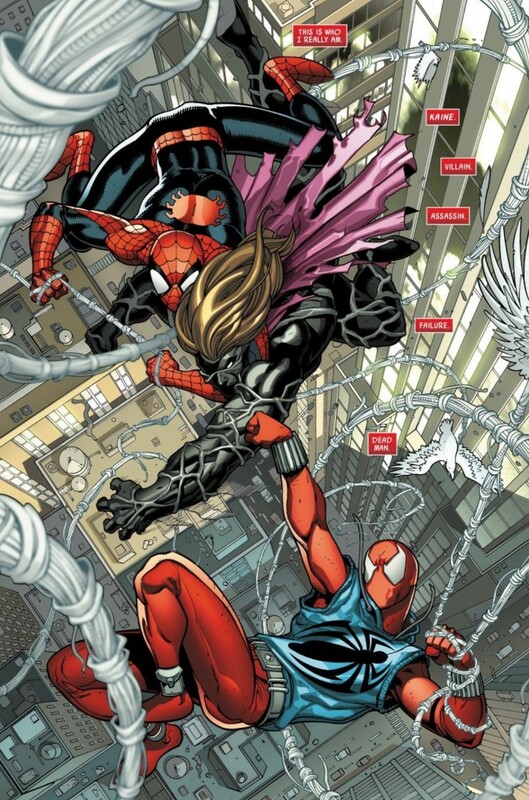 If you take Spider-Man, subtract the responsibility and the love and support the character’s alter-ego, Peter Parker, has received in full from friends and family over the years, what you are left with is Kaine, aka the Scarlet Spider. That’s at least the premise Chris Yost and Ryan Stegman are running with in their new spin-off series, the Scarlet Spider. And it’s a concept that’s unquestionably a draw for me. While the Spider-Man Clone Saga from the 1990s has earned a lot of mockery, perhaps my biggest personal gripe with the storyline was the decision to temporarily suggest that Peter Parker was actually a clone, and Ben Reilly, the assumed clone, was the real Peter Parker. Not only did that decision essentially render nearly 300 comics worth of storylines moot, it also tried too hard to shoehorn an obvious outcast character into the traditional superhero’s role. If Ben Reilly was actually the “real” Spider-Man, then what else was he supposed to do except process this information and inevitably pick up where his life left off before he was assumed to be dead after a battle with his doppelganger at Shea Stadium during ASM #149? Despite sharing his DNA, Kaine is a dramatically different character than Peter Parker. 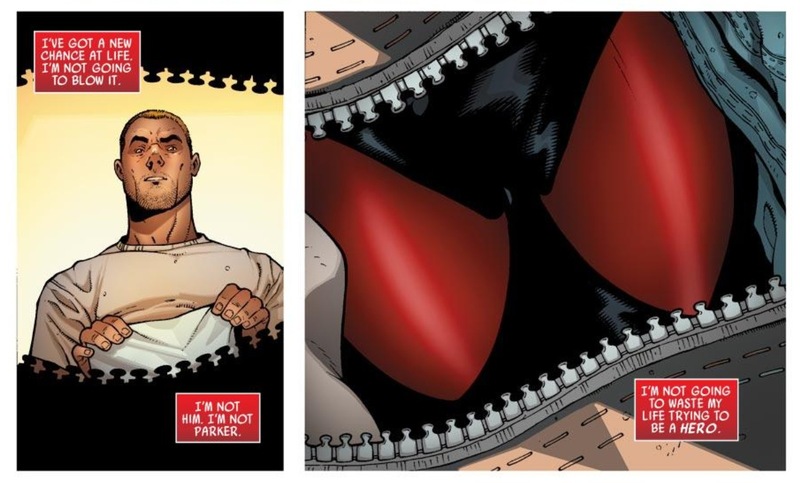 His past is synthetic, meaning he never knew the love of Peter’s parents, his Uncle Ben, Aunt May, Gwen Stacy, Mary Jane, et al. And as long-time readers of Spidey will tell you, that love has fueled Peter to do the right thing, the responsible thing, with his power since his tragic error in judgment which led to the death of his Uncle. Without this love, Kaine is an aimless being. He still clearly has a conscience, but also rejects the concept of being a “hero” the way his likeness Peter is (or Flash Thompson, in the Venom series, aspires to be). Instead, he’s on the run from the authorities and finds himself in Houston, where stuff hits the fan and he’s inevitably sucked into some kind of decisive action, for either good or evil (I guess its stay tuned for issue #2). Even the decision to place the story in Houston showed true due diligence by Yost and the creative team. While some may question the randomness of Houston (with justification), I’m just happy to see it’s not New York City. NYC is already under the jurisdiction of Spidey, the Fantastic Four, the Avengers, etc. 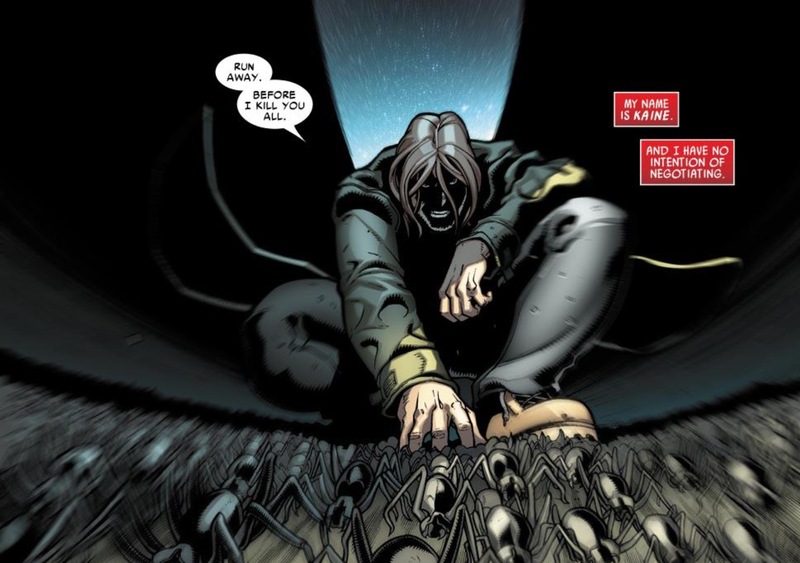 Bringing Spider-Man’s mentally unstable clone into the mix would inevitably lead to overlap. In Houston, Kaine will clearly have his own adventures, with his own villains to act as his primary antagonists. Even as a city, Houston is fundamentally different than New York. You have the old-school grandeur of a place like New York versus the up-and-coming Southwestern flavored Houston. 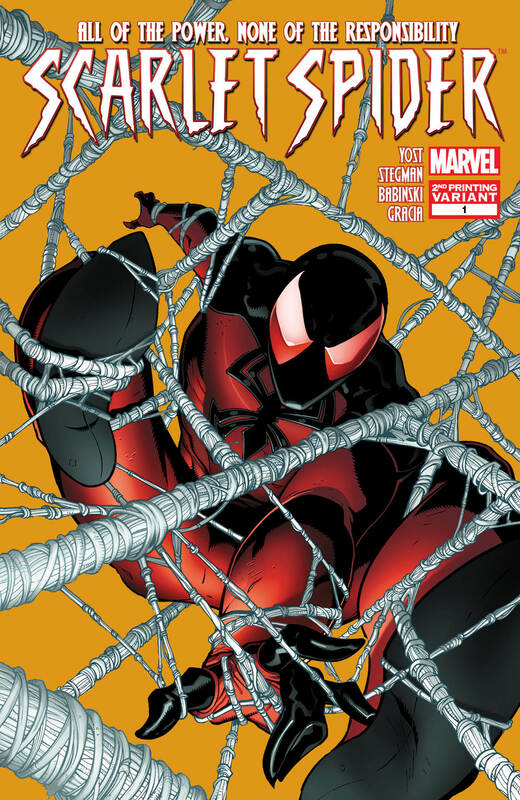 Ultimately, despite my unfavorable view of the Clone Saga, I wanted to give the Scarlet Spider a chance to see if Marvel would do the “right” thing and make it inherently different than ASM and Avenging Spider-Man (and even Venom, though the way that storyline is going, that’s about to take a dramatically different turn). Rather than a crossover, Yost and Stegman have produced an honest-to-goodness spin-off, a Jefferson’s to Spider-Man’s All in the Family – a series that can potentially stand on its own merits of character development and writing, rather than need the added “punch” of a guest appearance by Peter or the Sinister Six (or Carol O’Connor).